Im just listing this for a friend who needs to clean out his safe some. 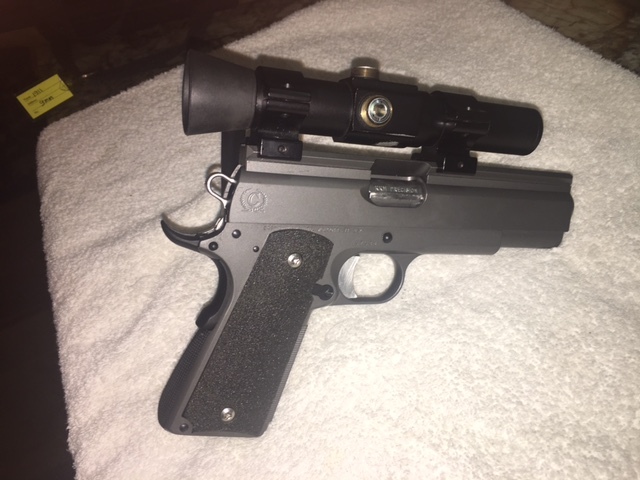 Travis Strahan built Caspian frame/slide/ KKM barrel 1911 9mm , all the best parts then Cerakoted in matte finish Titanium. 1'' Ultradot included ( dot will have caps not shown in pic) . Gun is in new condition, gun was built tested and put in safe with less than 50 rounds fired. 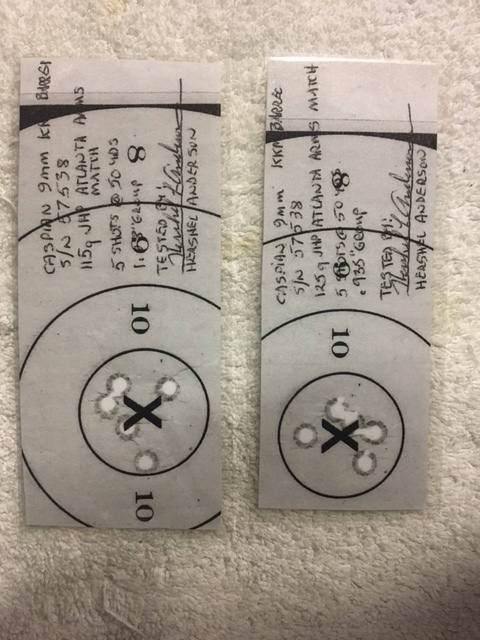 Ransom tested by Herschel Anderson with Atlanta arms 115 fmj-hp 5 shot group @ 50 yards was 1.08" second test with Atlanta arms 125 fmj-hp was less than a inch at .935'' comes with signed test targets by Mr. Anderson himself. Price is 1850.00 inc. shipping to your FFL. if interested please contact John at jwn45@bellsouth.net or pm me here. sorry about last pic could not get it rotated no matter what i did. I just got the test targets overlaid onto a 50 yard center so it was easier to see the accuracy, That's one accurate 9mm right there guys!!! 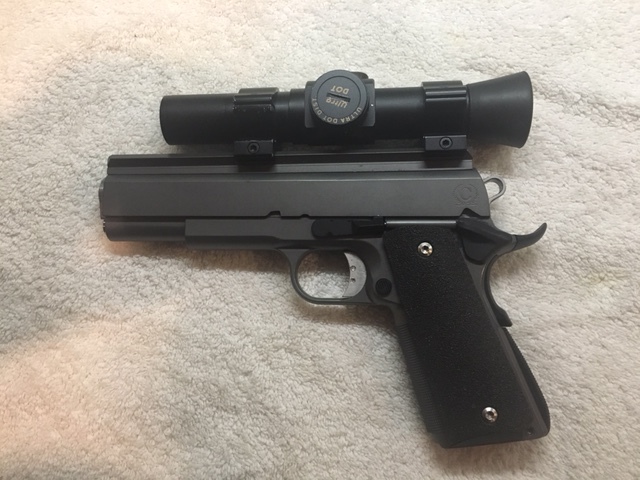 Also the owner said since the 1911 9mm is now legal for CMP that he would include a set of open sights if someone wanted to remove dot and rail and add them for cmp. Where did he hear 1911 9mm was legal? I have been looking around for 2017 rule changes and nothing is posted yet. SmokinNJokin wrote: Where did he hear 1911 9mm was legal? I have been looking around for 2017 rule changes and nothing is posted yet. Where else? Right here on our forum, our guys are on the ball! 6.2.3 Approved U. S. Service Pistols and Commercial Equivalents The following U. S. Government Service Pistols or commercial versions of the same type and caliber may be used in CMP-sanctioned Service Pistol Matches, provided they comply with Rules 6.2.1 and 6.2.2. a) U. S. Government or Colt M1911 Service Pistols or commercial versions of the same type (M1911). These pistols may be chambered for any cartridge with a bore diameter not less than 9mm and not greater than .45” and have a barrel length not greater than 5.100”. Sent an email to John. Sounds like a great guy, if I don't pick it up I hope someone else on the forum does. Fair deal and great 1911. You cant go wrong both gun and seller are top notch. Travis makes some amazingly accurate pistols. Larry Carter had four of them for sale at Perry a couple of years ago. kept it for himself. So would I! 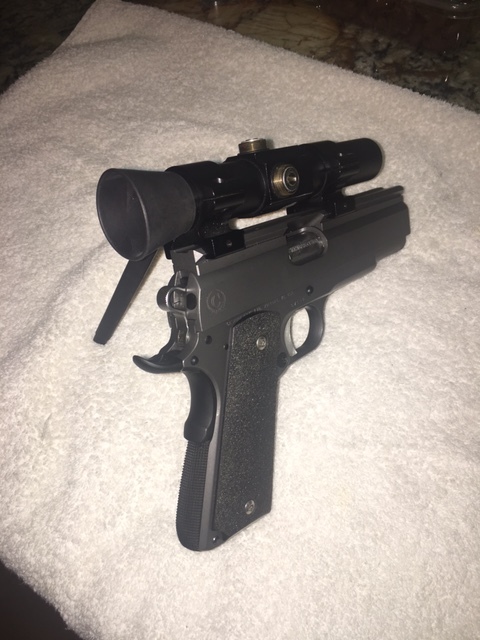 Would the pictured gun be CMP legal with the hammer and grip safety that is on it? No, the pictured gun would not be legal as shown. The grip safety and hammer are fine but the dot is a real deal buster. teg2658 wrote: Would the pictured gun be CMP legal with the hammer and grip safety that is on it? Travis Accu-lock pistols are really interesting as well. Checked out one last year at Perry, quite the contraption!